Welcome Home! 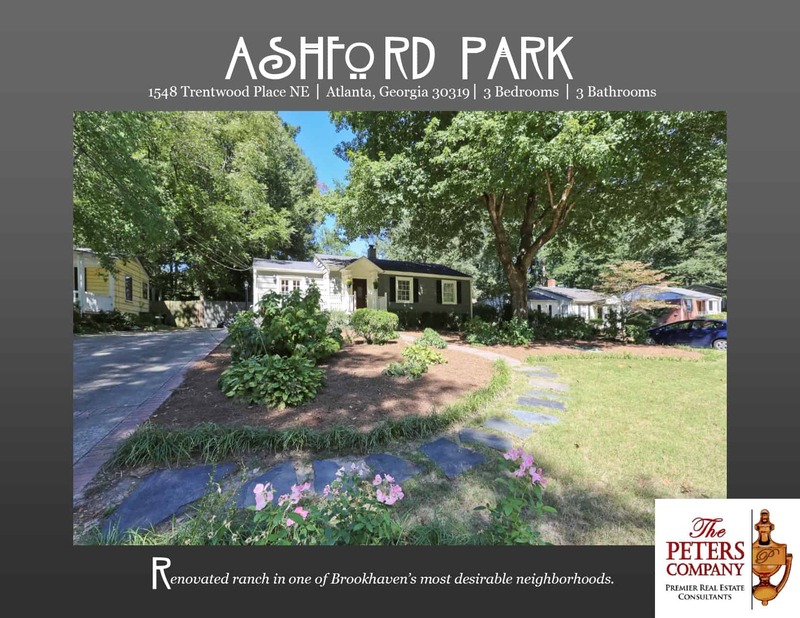 Located on one of the best streets in Ashford Park, this home has been totally transformed. It takes what’s old, restores it, and makes it so much better thanks to a wonderful addition and renovation. The custom features and charming character of this home will never go out of style. The close proximity to Peachtree Road, I-85, and GA400 makes it convenient to and from any direction. Did we mention that you are literally only minutes from all your favorite hot spots at Village Place Brookhaven including Haven, Valenza, Verde, Kaleidoscope and Pour? Kitchen features granite counters, stainless steel appliances, and breakfast bar. Spacious den has wood burning fireplace. Separate living and dining room are ideal for entertaining. Master suite is a true retreat including a walk-in closet and newly remodeled bath with marble vanity and shower. Wonderful outdoor space includes a patio leading out to a fully fenced backyard with large storage shed. Great curb appeal thanks to a rocking chair front porch and landscaping designed to bloom year round. ← Just Listed :: Gorgeous Traditional In Duluth!